Our March meeting will also be a clothed figure drawing session at Southwest University of Visual Arts — when you get there, follow the signs to the drawing studio. Wyndra will do poses of various lengths, and is taking requests for costumes. Feel free to draw in whatever media and style you'd like. 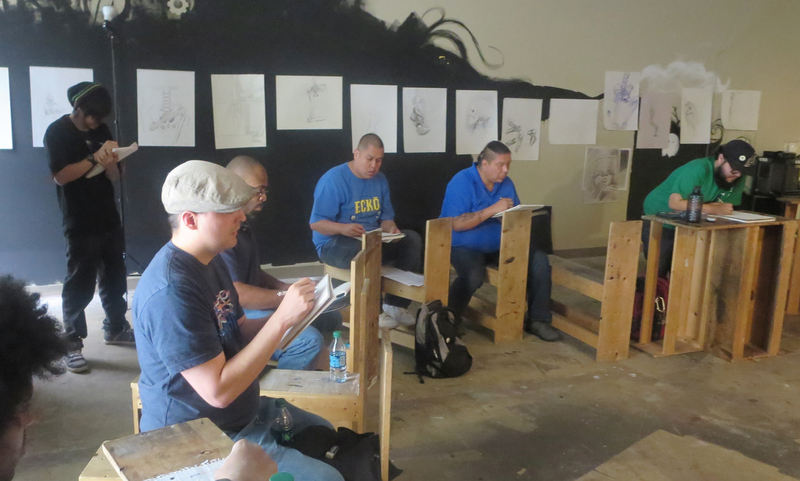 There is no charge for the figure drawing session, but please plan on tipping the model.